Note: FedEx Commercial delivers Monday through Friday and FedEx Residential delivers Tuesday through Saturday. 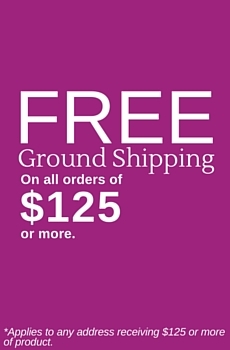 Please also note that the non-free shipping rates for many items we sell are based both on weight and size. The weight of any such item can be found on its detail page. To reflect the policies of the shipping companies we use, all weights will be rounded up to the next full pound. Meticulous attention is given to packing each of our made to order longlasting flower arrangements. Please carefully follow the detailed unpacking instructions we have placed at the top of the inside box of every master box. Be sure to follow the unpacking directions carefully! All of our arrangements are custom made to order based on your vase, flower and color selections. Therefore, our products may NOT be returned or exchanged unless it was visibly damaged during transit. Should you receive a box that has been visibly damaged during transit please take pictures of the delivery as it was received, including the outer box, and the arrangement still sitting in the inner box before you remove it from the box, and finally a picture of the damage to the actual flower arrangement. Damage rarely happens during transit, but in order for us to file a claim with FedEx, we greatly depend on the image proofs. Note: we cannot be held responsible for damage that has occurred when unpacking the flowers, or damage to the flowers due to hands and fingers repeatedly touching the flowers. Please contact us to initiate your return within 2 days of delivery. In the event of damage, please file a claim with FedEx immediately upon receipt and take pictures to send us and for FedEx for verification of damages. In case of a return, we will email you a prepaid FedEx return label. Print out the label and drop off the return package at any FedEx location. We will ship out the replacement item within 48 hours. Please send us pictures of the damaged product. We will follow up with the FedEx claim. Once evaluated and if approved, it will take up to 48 hours to ship out a replacement. Please note the arrangement will be replaced with the exact same one as the one you originally ordered. If a refund has been authorized, the refund will be credited to the original credit card that was used for the transaction. You should expect to receive your refund within 48 hours once we have received the package. 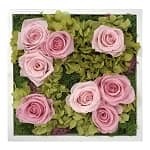 BloomsByHeinau will pay for all return shipping when the provided FedEx shipping label is used. If one of our products dramatically changes appearance, please send us a couple of images, and we will carefully evaluate the product to determine if a partial refund is warranted. 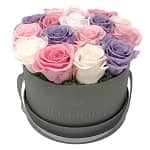 Please Note our products are natural flowers, and they will fade over time and a couple of the petals might develop tiny cracks, but typically you will be getting 1 year of enjoyment from the beauty of the flower arrangement. Sometimes low humidity or too high humidity will make the flowers begin the fading process sooner. Note: we cannot be held responsible for damage that has occurred when unpacking the flowers, or damage to the flowers due to hands and fingers repeatedly touching the flowers. 6. 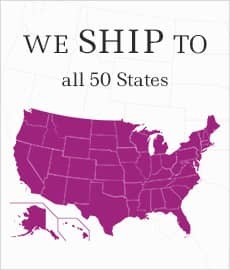 We Do Everything In Our Power To Deliver Via FedEx on Your Requested Date. But it does happen that an extreme weather event beyond FedEx's control causes delivery delays in the affected areas, and in those cases, we cannot be held responsible for the delay caused by FedEx. We know this is common sense, and we hope for your understanding. In other instances, we see that FedEx deliver our packages 1 day early, and in most cases, our customers are fine with that. Again, we do not accept responsibility for flowers that are delivered early or late, unless we made a mistake.